Is The Tooth Pulp Injured Or Infected? A tooth’s pulp contains the nerve and blood vessels that provide it with oxygen and nutrients. Endodontic treatment can be performed if the pulp is injured or infected. It may be required if your child has pain in the tooth for no apparent reason, has a tooth that is very sensitive to extreme hot and cold temperatures, or has a broken tooth in which the pulp has been exposed. Endodontic treatment can be performed in both primary and permanent teeth. Even though baby teeth will fall out eventually, they are important because they allow a child to chew and speak clearly and hold spaces for permanent teeth. Your pediatric dentist will try to save a baby tooth unless it is going to fall out soon on its own. Two types of endodontic treatment can be performed on baby teeth. Vital pulp therapy involves removing the pulp from the tooth’s crown, but not the root. Non-vital pulp therapy, or root canal treatment, involves removing the pulp from both the crown and the root. If these treatments are ineffective, it may be necessary to remove the tooth. A protective base is used when the tooth has decay, but it does not directly affect the pulp. The dentist will remove the decay, put a protective material inside the tooth, and then place a filling. An indirect pulp cap is used if the decay is very close to the pulp but does not touch it. The dentist will remove most of the decay and place a protective dressing over the decay close to the pulp to avoid exposing the pulp and stimulate healing. The dentist will then place a filling in the tooth. A direct pulp cap is used when a small amount of pulp is exposed, either during decay removal or because of an injury. The dentist will place medicine on the exposed pulp to protect it. Direct pulp caps work better in permanent teeth than in baby teeth. A vital pulpotomy is used when the top part of the pulp has been affected by decay or trauma, but the root is still healthy. The dentist will remove the decay and the injured or infected pulp and leave the healthy pulp. He or she will fill the inside of the tooth with a protective material and then cover the tooth with a filling or stainless steel crown. A vital pulpotomy can be done in a baby tooth or in a permanent tooth that has not finished growing a full-length root. Non-vital pulp therapy, or a root canal, is performed if the pulp is damaged to the point that it cannot be saved. The dentist will remove all of the pulp from the tooth, clean the inside of the tooth, and fill it with a special material that is absorbed when the body resorbs the root before the tooth falls out. 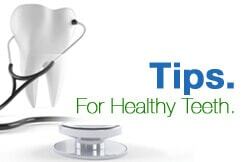 The dentist will place a filling or stainless steel crown on the tooth. Non-vital pulp therapy generally requires more than one visit to the dentist’s office. The decision on whether to have a root canal performed or to have the tooth extracted will depend on which tooth is affected, when it would naturally fall out, the extent of the damage, and whether gum or bone tissue is affected. If your child has a medical condition, any infection can become serious. If the tooth is infected, there is a chance that it could get infected again after a root canal. In that situation, your dentist will probably recommend removing the tooth. If your child is healthy and removing the tooth would make it difficult for him or her to chew or speak clearly or would affect the permanent tooth’s ability to come in properly, your dentist will probably suggest a root canal.